Posted on October 5th, 2018. 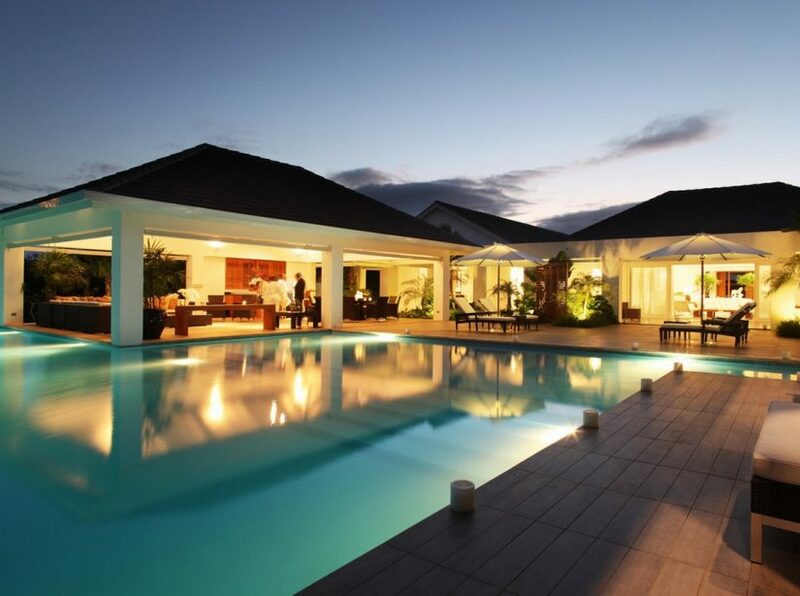 In a glorious location in the heart of the Caribbean lie some of the very best Dominican Republic villas and resorts. Admired by travel writers and the winners of numerous international awards, these luxurious resorts capture all of the unparalleled beauty of this dream destination and offer a holiday like no other to the discerning traveller. The Dominican Republic is an independent country nation in the Caribbean. It is positioned south of Turks and Caicos and west of Cuba. 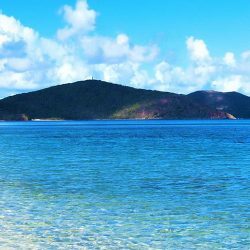 Its climate is tropical and consequently you will find luscious forests, colourful flowers and a profusion of wild life – both on land and in the warm waters along its coastline. The number of 5 star resorts in the Dominican Republic reflect the combination of clement weather and excellent location that drives the demand for luxury vacation experiences. 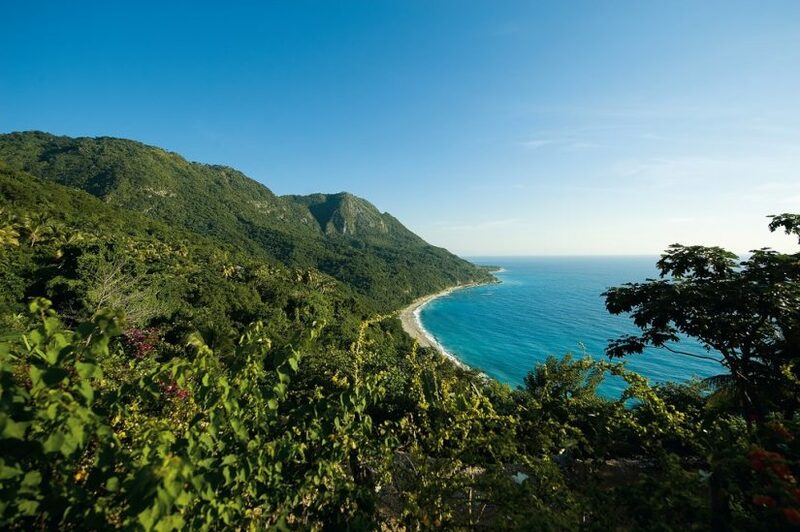 With hundreds of miles of spectacular coastline you will find that the Dominican Republic beach resorts provide the very best of self-contained villas nestled along the Caribbean shore lines. Casa de Campo, Puntacana and Cap Cana are three of the Dominican Republic 5 star resorts that offer world-class service in breath-taking surroundings. Imagine you are staying at the most exclusive country club and you will be well on your way to understanding the attention to detail that these wonderful resorts deliver when they welcome you. The ‘Caribbean’s most complete resort’ … it might be the way this Dominican Republic luxury resort defines itself but it really isn’t wrong. 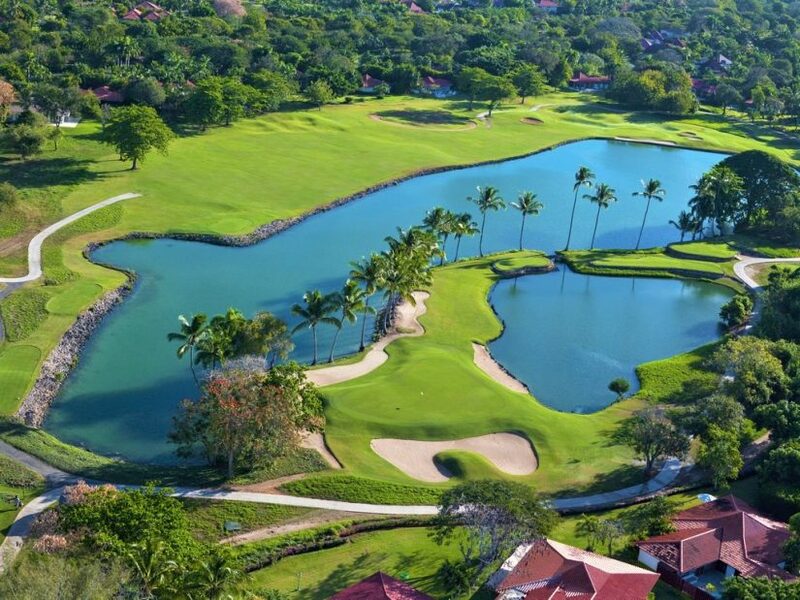 Nestled within a gated resort on the south eastern shores of Dominican Republic, the Casa de Campo resort and villas covers over 7,000 acres of beautiful terrain. Capturing a gorgeous coastline with private beaches and a dedicated marina, three golf courses, open country for horse-riding, tennis, 5 star spa experience … the list goes on and on. Nothing is overlooked in creating the perfect destination for you and your group. 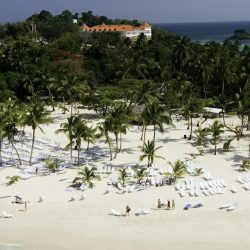 Casa De Campo is also one of the top Caribbean Family Resorts. Once you arrive at what is probably one of the best luxury resorts in Dominican Republic, you will be cossetted and cared for by a team of well-trained individuals. The beautiful villa accommodations, available for your exclusive use within this resort, open out onto splendid gardens with views across the ocean or manicured tropical vegetation. Every modern convenience can be expected in this stylish and serene setting. The design and layout of these villas captures the colonial vibe of the Dominican Republic while utilising the highest quality furnishings and finishes to create the perfect backdrop to your unforgettable vacation. Casa de Campo ensures there is ample space between each property so privacy is maintained. So, if you are hoping to have the sensation of being at a couples resort Dominican Republic yet being part of an interesting and lively location, you will be guaranteed that quiet space to enjoy a romantic getaway or even honeymoon. The World Traveller Awards has mentioned Casa de Campo as the ‘world’s best golf resort’. An accolade that it certainly merits. One of the interesting fact about the Dominican Republic is that Casa De Campo is one of 26 golf courses, and is the best. With three magnificent and challenging courses to try within the Resort, the avid golfer or group can be sure of having an exciting golf vacation with plenty of variety. It is not unreasonable to assert that if it’s the full golf experience you want from a vacation then this is probably the very best resort in the Dominican Republic or even the Caribbean. The courses designed by famous golf course architect, Pete Dye, along with his LPGA wife, Alice, capture the best of the coastal landscape to create Teeth of the Dog, The Links and Dye Fore! Even if you are only thinking of starting a golf hobby, there is excellent tuition to be booked through the Club House. Casa de Campo has over 12 restaurants and 9 bars from which to choose from each day. Don’t forget you can have a private chef in-house at your villa who can prepare the meals you might wish too. Choice is what Casa de Campo does so well. 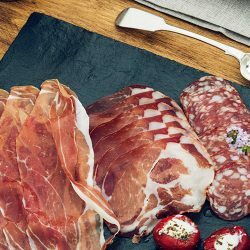 Bringing so many tantalising offerings together to ensure everyone who visits is charmed. 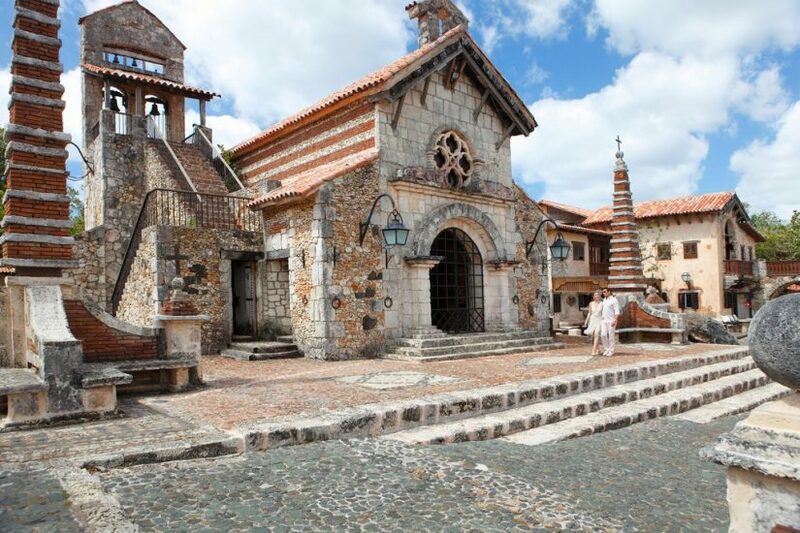 If you have yet to get to Europe, then the picture perfect Altos de Chavon, a Mediterranean styled village, will allow you to walk over cobbled streets, stop for lunch, visit cute galleries and boutiques and generally feel as though you are stepping into a picturesque European village – it’s quite simply another realm. As one of the best resorts in the Dominican Republic you will fall under the spell of this wonderful destination. 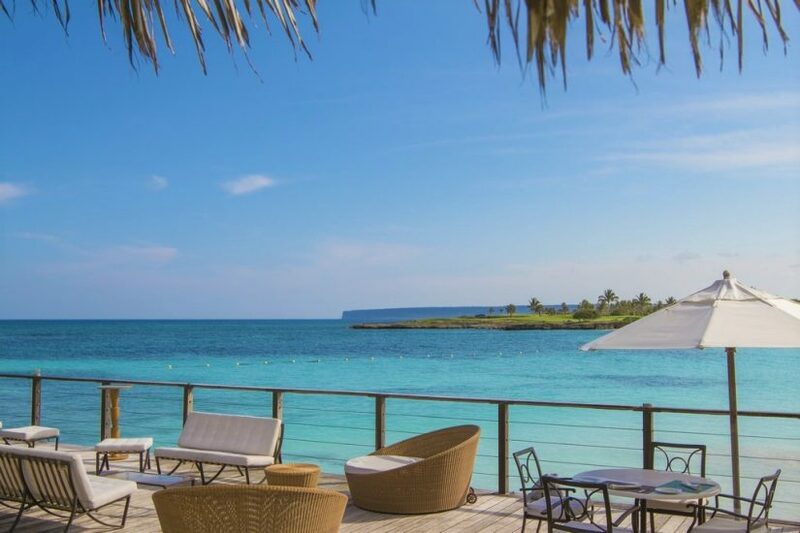 If you are looking for one of the very best luxury resorts in Dominican Republic or even the Caribbean you will be delighted with the exquisite Cap Cana Resort. This extraordinary gated resort is beautifully spread across 30,000 acres of luscious tropical terrain. With its own private marina and the renowned Punta Espada golf course, designed by Mr Jack Nicklaus, this is a resort that does everything on a very grand scale. 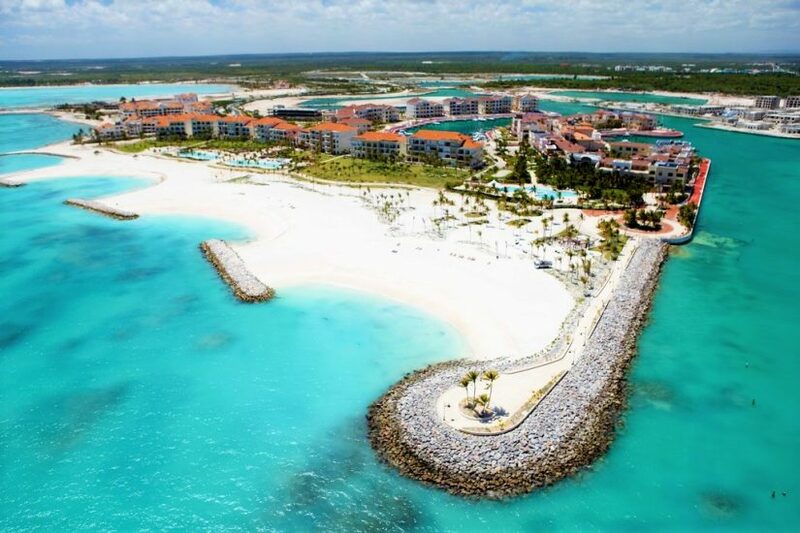 What probably sets Cap Cana apart from other luxury Dominican Republic resorts, is the unique Scape Park. This is a natural playground that will suit guests of all ages. Whether you want to spend a day exploring the stunning tropical forests on a Hoyo Azul Eco Tour, enjoy some zip-lining adventures along the tree tops, swim in natural lagoons … there are so many thrilling options. The adventure park stretches right down to the Caribbean coastline and you can jump aboard a catamaran to admire the Punta Cana coastline from the sea. There are exquisite restaurants to be found throughout Cap Cana. This is probably one of the best resorts in the Dominican Republic for couples looking for that romantic and glamorous getaway and a trip to Eden Roc’s exquisite restaurant, Mediterraneo for a candlelit supper can be the highlight of your stay. If you are looking for a more beachy vibe for lunch or dinner, then Little John a Juanillo Beach Restaurant is a lively venue for some delicious food in a more casual setting. 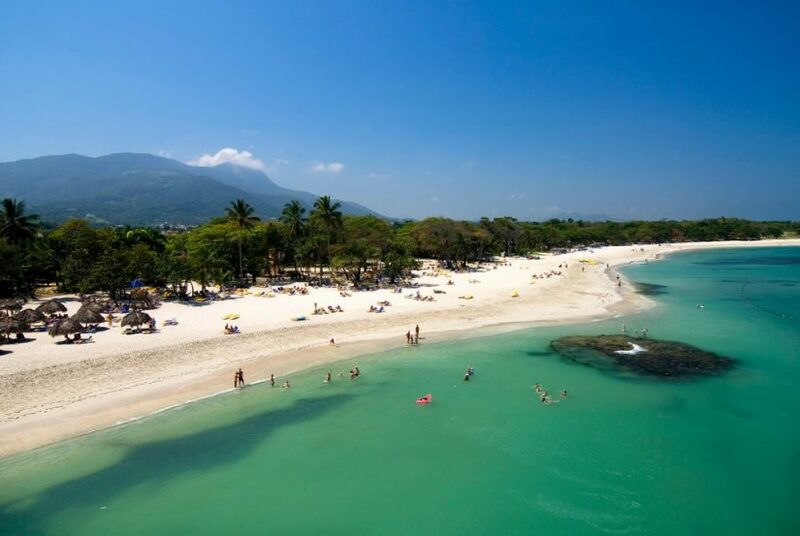 Juanillo beach is also one of the best Caribbean beaches. It doesn’t get much better than sipping a fruity cocktail, listening to the sounds of the ocean. For a more grown-up experience, why not try the “Chivas Club” in Cap Cana – this is a top pick for Dominican Republic luxury resorts adults only experiences. The marvellous Cap Cana has its very own ecological reserve. 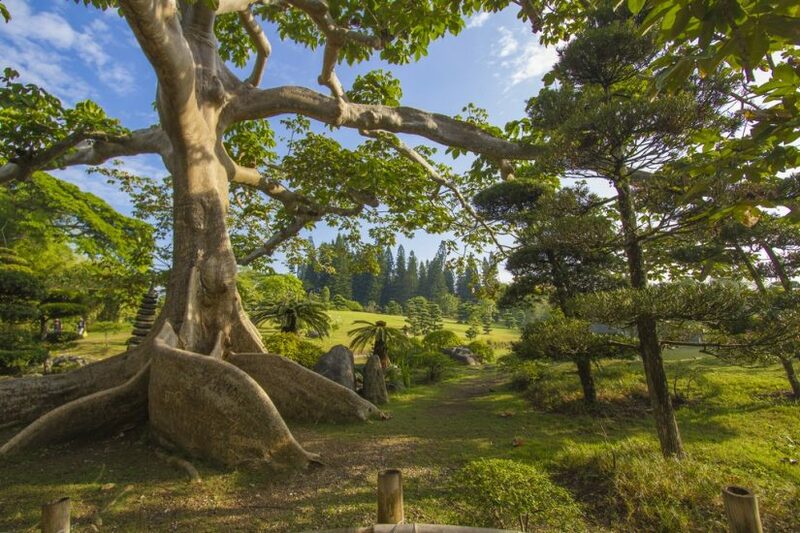 With an eye on preserving and protecting the flora and fauna of this gorgeous corner of the world, they have dedicated 74 acres of undulating terrain for this very purpose. If you enjoy getting close to nature, there are wonderful trails throughout this reserve that will allow you to enjoy the thrill of seeing all manner of birds and animals in their habitat. 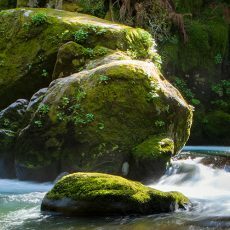 These hikes are conducted in a way that is extremely considerate – letting man and beast enjoy the forests simultaneously without any adverse impact … on either party! Sitting a mere 10 minute transfer time from Punta Cana International Airport, you will be established in one of our luxury villas in Puntacana within a short time of landing. This destination has been named one of the best beach resorts in Dominican Republic and it’s very easy to understand why. 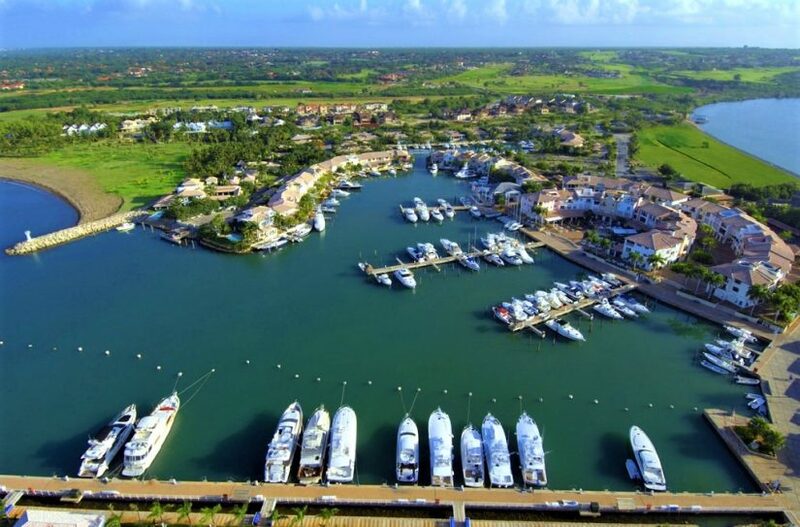 The level of luxury and exclusivity that you can expect from Casa de Campo and Cap Cana is found also at Puntacana. Taking its name from the incredible stretch of Dominican Republic coastline, the stunning villas and properties within the resort have a prime location along the glistening white sands that hug the Caribbean. Like all the best resorts in the Dominican republic has to offer, this destination brings golf, sailing, tennis, gourmet dining and much more to its lucky visitors. 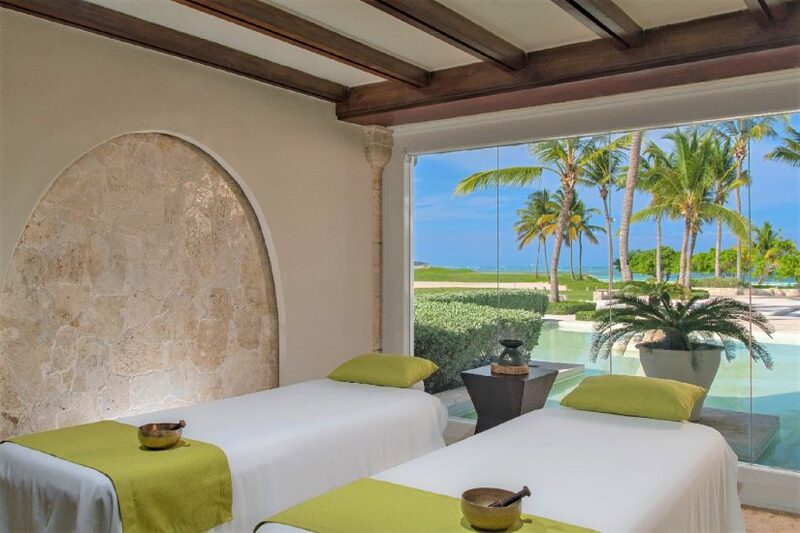 In addition to all the usual country club style services, you can indulge every sense at the Six Senses Spa that is located within the Punta Cana luxury Resort. The Six Sense Spa group has won every possible award imaginable globally and this is the only one of its spas located in the Caribbean. The indoor and outdoor treatment suites offer sublime holistic and bespoke massages and facials that will rejuvenate your every sense. One of the outdoor areas for treatments is located in the secluded heart of a herb garden. How divine does that sound? This is the perfect antidote for the busy traveller who wants to unwind fully while on vacation. It’s also the perfect place to get a restoring massage that might unkink that golf shoulder too. Whatever your goal, Six Senses Spa has devised glorious treatments to suit everyone. Oscar de la Renta, couturier and celebrity, is one of Dominican Republic’s favourite sons. He brought elegant design to the world but never forgot his roots. While you are staying at Puntacana you will definitely want to visit its beautiful Beach Club. A marvel of design excellence and beautiful furnishings all wrought from the creative talent of Mr de la Renta. A lazy afternoon at the Beach Club where you can luncheon by the pool or watch the avid golfers in the distance as they chase that elusive white ball around one of the excellent courses, should be on the agenda for anyone visiting this lovely resort. It’s a perfectly beautiful day to spend on the immaculately manicured grounds of this designer haven. Again, this Dominican beach resort has its own ecological reserve but this reserve has a unique calling card. 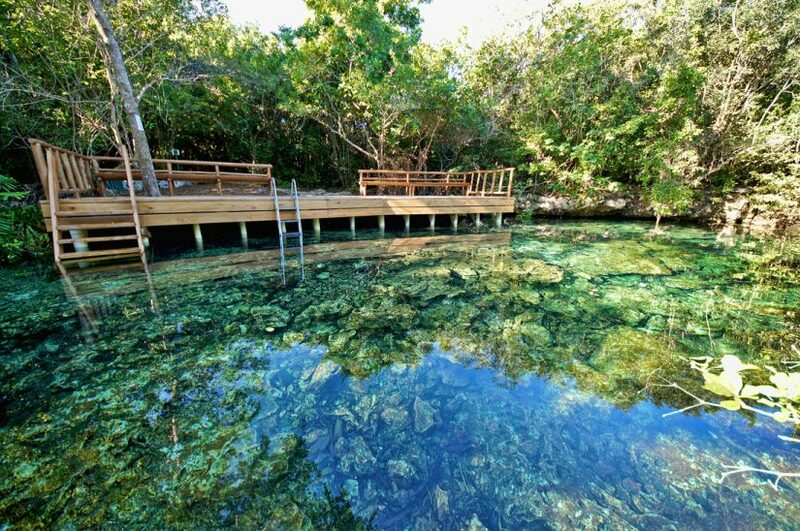 Manatial Yuana – otherwise known as The Fountain of Youth – is a glorious natural spring that is said to imbue visitors with a youthful vitality. 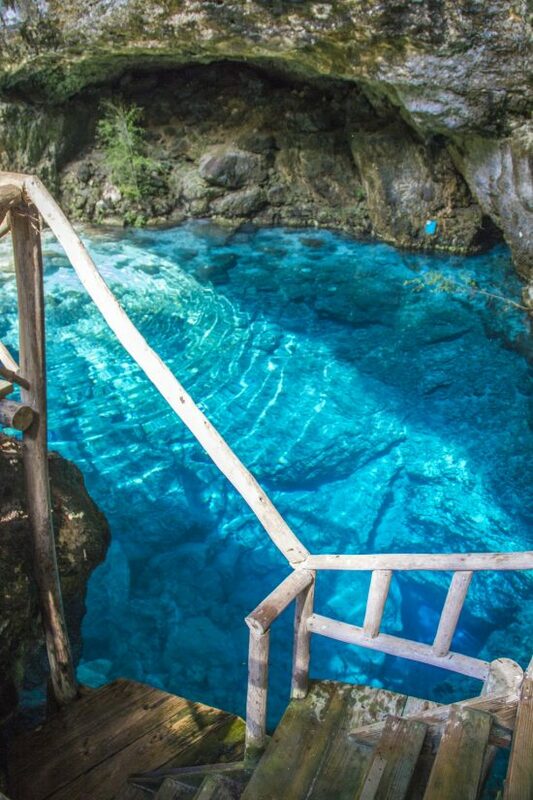 So whether you just dip in your toe or go for the full body plunge, I promise a visit to this lovely natural wonder will refresh the most jaded spirit! The thought and creativity employed by developers when they design and build resorts always amazes me. The intelligence that is used to bring together golf course specialists, world-class chefs, artisans and staff to produce a five star experience for everyone is dazzling. It’s no small feat to ensure that the layout of each resort provides maximum comfort and privacy for guests yet allowing them to easily avail of all the resort’s amenities. As well, to be able to build a resort that ages well and melds seamlessly with its natural surroundings is also an incredible skill. 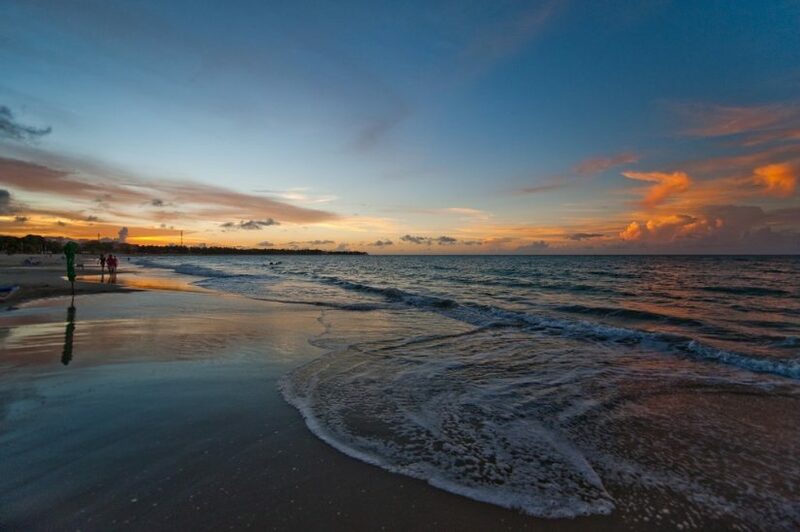 At Casa de Campo, Cap Cana and Puntacana Resorts all of this magical alchemy has occurred. Each of these resorts offers a unique and luxurious experience for guests all within gated resorts that allow guest to move freely in a relaxed and pleasurable environment. Each resort has its own distinct personality and understands the value of offering guests every five star luxury they would expect but with that divine Caribbean twist. At Exceptional Villas we’ve been representing some of the most beautiful villas within these resorts for years. Why? We know what our customers look for when they vacation – luxury, security, glamour, privacy and faultless service. The resorts of Casa de Campo, Cap Cana and Puntacana have all mastered the art of providing the very best of service to its guests. At Exceptional Villas we take the experience to another level by building a bespoke holiday for you and your group. 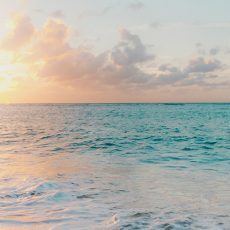 From the moment you touch down in the Dominican Republic, we are there to guide you through every step of your dream vacation, providing you with the top beachfront villas and resorts in the Caribbean. 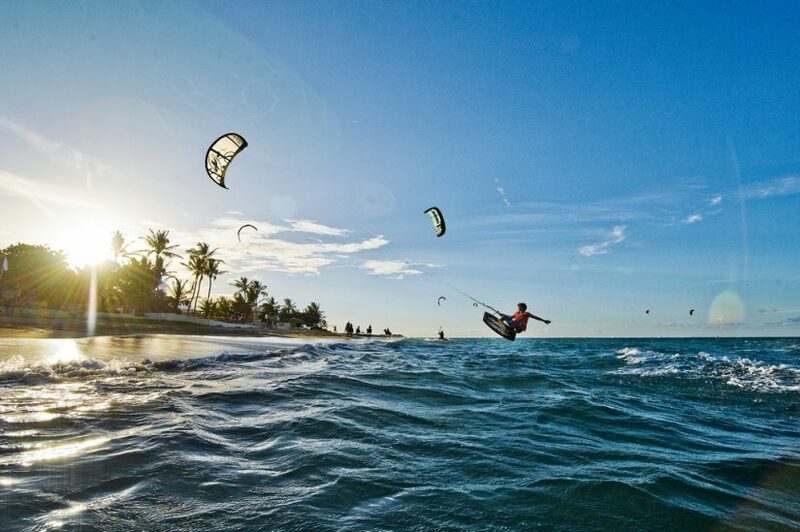 We create fun days out, exciting fishing expeditions, horse riding treks and picnics, get you out kiteboarding ….there’s nothing we can’t arrange for you. If you are thinking of getting engaged or perhaps want to tie the knot at one of these Resorts, we would be delighted to be the architects to help you create extraordinary memories. Resorts work for one very important reason – they simply lift the cloud of worry or stress from your shoulders. The moment you step into Casa de Campo, Cap Cana or Puntacana your cares disappear and you can truly kick back and enjoy that dream vacation you’ve always been talking about. Let us make that dream a reality.